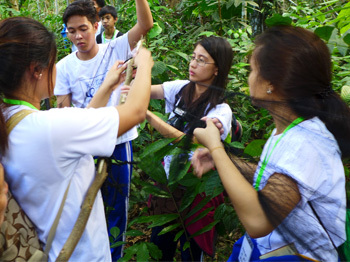 Seventy-four BS Biology students from Bicol University, accompanied by their five faculties-in-charge, recently finished the Museum's three-day course on "Methods and Analysis for Vertebrate Wildlife Field Surveys" from 24-26 April. The course is an introduction to vertebrate biodiversity, its conservation and the underlying and related concepts and principles, including species richness, evolution and natural selection, systematics/taxonomy, ecosystems, biotic interactions, endangered species and impacts of introduced organisms. 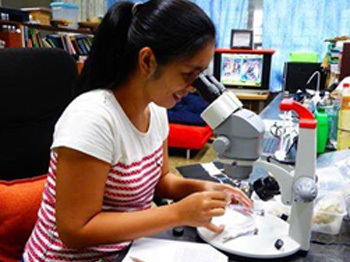 A new species of cicada has been identified by UPLB MNH curator Dr. Ireneo L. Lit, Jr. and cicada expert Dr. Young June Lee of the Department of Ecology and Evolutionary Biology, University of Connecticut. 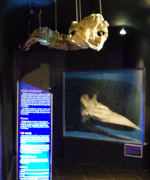 In a recently published paper (Zootaxa 3948 (2): 296–300), Drs. 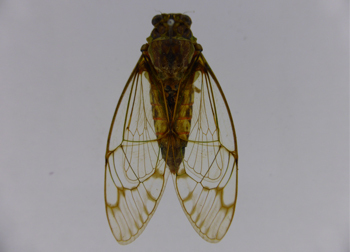 Lee and Lit formally described the "laughing" cicada Psithyristria ridibunda sp. nov. from Banahao de Lucban, Quezon. The specific name, according to the scientists, is a Latin adjective referring to "laughing" -- an allusion to the sound generated by the males of this cicada species usually right after sunset. MNH Director Juan Carlos T. Gonzalez, along with Drs. 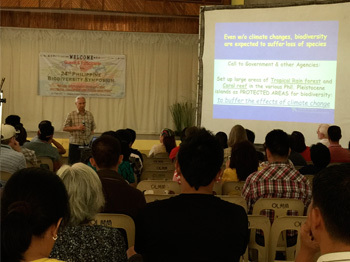 Leticia E. Afuang, Ryan Emmanuel C. de Chavez, curators of the UPLB Museum of Natural History, were at the University of Eastern Philippines, Northern Samar from 14 – 17 April 2015 and participated in the 24th Annual Philippine Biodiversity Symposium. Gonzalez also presented on behalf of his co-authors from the Zoological Museum two papers, namely "Forest-associated vertebrates as key indicators of biodiversity in mega natural parks of the Philippines" which he wrote with Prof. Andres Tomas L. Dans, and "D.S. Rabor's Bird Collection and Knowledge on Philippine Avifauna" which we co-authored with James DV. Alvarez. 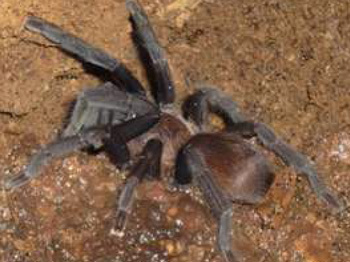 While her neighbors were in the comfort of their homes busy playing with dolls and robots, Professor and scientist Aimee Lynn Dupo spent her childhood like a mad scientist playing with insect nets and vials and collected spiders for derby. Her first scientific observations, even with her innocent mind, were that of spiders wrestling, killing and eating each other. 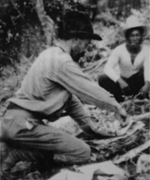 “It was both amusing and puzzling,” recounted Dr. Dupo. Botanists from the UPLB Museum of Natural History have found a new species of Hoya in Polillo Island, Quezon and Puerto Galera, Oriental Mindoro. Hoyas, also known as wax plants are vines that behave like orchids; they grow on other plants and get their moisture and nutrients from the air, rain and even dust. 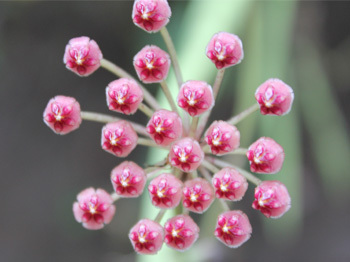 These plants are prized for their unique, flat umbel inflorescence that emits a fragrant smell during dusk and dawn. Professors Annalee S. Hadsall and Ivy Amor F. Lambio, Curators at the Botanical Herbarium of the Museum, along with staff Mary Ann O. Cajano and Michelle D. Alejado confirmed in an interview that they have found Hoya espaldoniana in Burdeos, Polillo Island in Quezon Province. The new geographical record was recently published in the latest issue (Vol. 24, Issue 2) of the scientific journal Asia Life Sciences. From the depths of an island group situated 30 kilometers off the northeastern coast of Quezon where locals find themselves most of the time farming and fishing, there lies a hole -- literally in the ground -- where hundreds of creepy crawlies make their home. 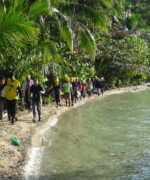 Known for its rich and often unique flora and fauna, the Polillo Island group plays host to rare and threatened wildlife and is considered as a key conservation hotspot for land and sea biodiversity. In Burdeos town in the main island, Sitio Puting Bato has five limestone caves with outskirts facing the West Philippine Sea. Near inaccessibility plays a big role why the caves and its inhabitants are undisturbed; a perfect dream of wildlife biologists everywhere.